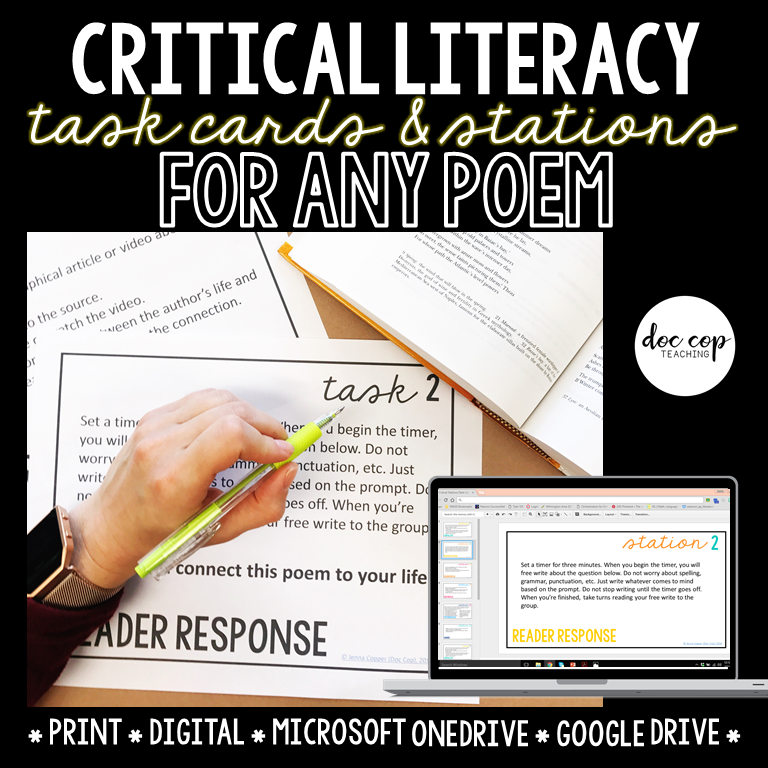 I started seriously creating digital resources four years ago when I was given a classroom set of Chromebooks. Over that time, I slowly have made the transition from a copy queen to a paperless aficionada. 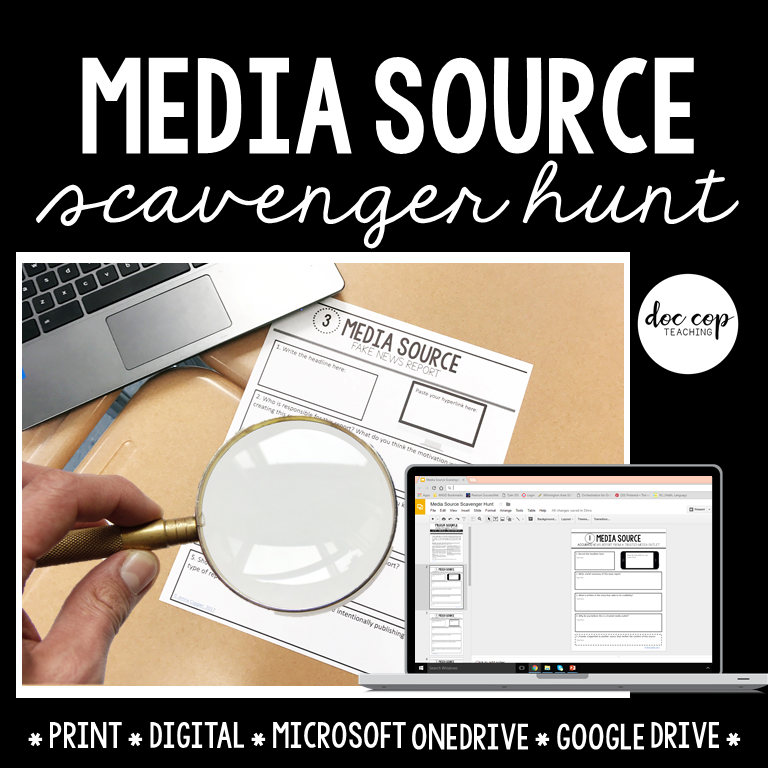 Despite my love for digital resources, I am a firm believer that traditional activities and resources still have a place when they benefit students as is or there isn’t a reasonable digital alternative. One of such activities (or so I previously thought) is learning stations and learning centers. I love using learning stations and learning centers as an engaging activity to get students up and moving around the classroom while targeting specific and focused objectives in the form of varying tasks. Because I will never give up my stations, I tried for a while to make digital stations work, but I always fell short…until now! I finally figured out how to make digital stations work, and best of all, it’s a piece of cake! What are digital learning stations? Learning stations are centers around the classroom designed for specific learning tasks related to a theme, topic, skill, or genre of study. Digital learning stations use technology to facilitate those tasks. Just like a typical learning station, digital learning stations use centers or groups in different areas of the room. The tasks, however, are not completed on paper, but rather on a digital device. Therefore, at each learning station, a digital device is used to facilitate a digital task. Why use digital learning stations? I love learning stations, as you already know, but I wanted to find a way to adapt the stations to my digital classroom. My classroom is 1:1 with Chromebooks, but digital stations could work with any device. If you have students work in groups, they may only need one device per group, so 1:1 is not necessary in this case. Traditionally, stations required a lot of paper, which meant a lot of copying. It also meant a lot of organizing, a lot of lost papers, and a lot of back pain carrying those stacks of papers around. When made paperless, this activity saves time and improves organization for the teacher, but also it can improve students’ work and expand the possibilities of the tasks. 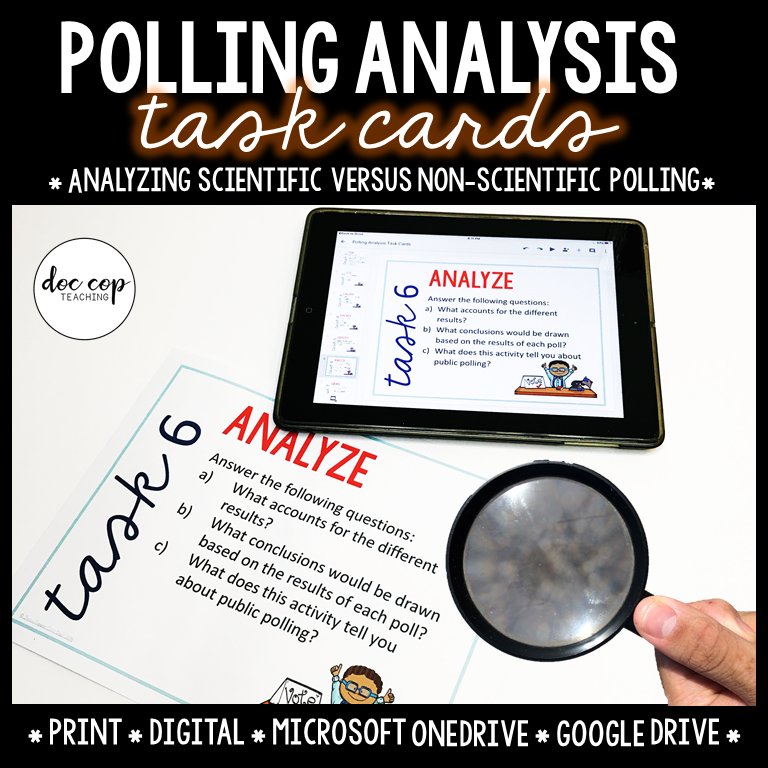 Research is one of such components that seamlessly could be included as a digital task in digital stations lesson while expanding the potential of the analysis. In addition, integrating video and music into digital learning stations adds a new level of novelty for the students and mode for content or organization. The problem I had with digital stations is giving students access only to one station at a time. One of the reasons that I love stations is that students have to focus on one task per station as they move around the room to a physical station. Undoubtedly, if I give students all of the stations in one digital document, the moving part of the stations ceases to exist because they have everything they need in one place. The stations become a packet and that defeats the purpose of the station activity. So the question becomes, how do I distribute the digital task at each center? Well, how do you do it? After much thought, I finally figured how to fix this problem, and it’s quite simple. *Disclaimer: I use Google Classroom for my digital LMS, but this same technique/philosophy may work with other learning management systems. 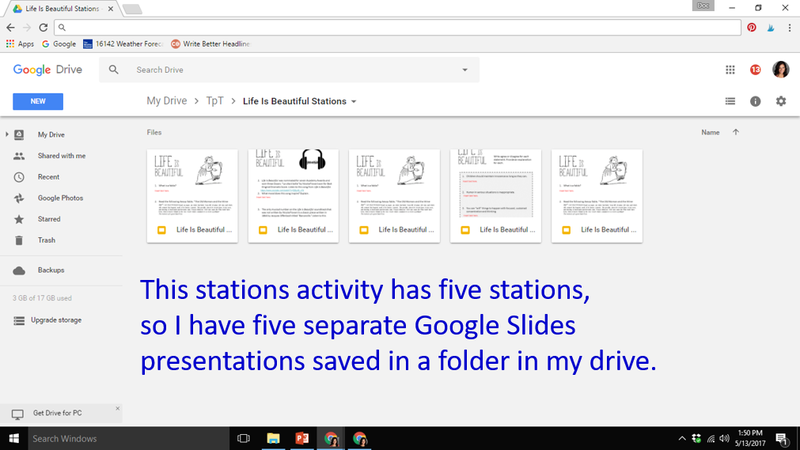 1) Create your centers in Google Slides. Each task should have it’s own presentation. 2) Open your first station and click share. Then, copy the link. 3) Go to https://goo.gl/. *If you’re using a device with a QR code reader, skip to step 6. 4). 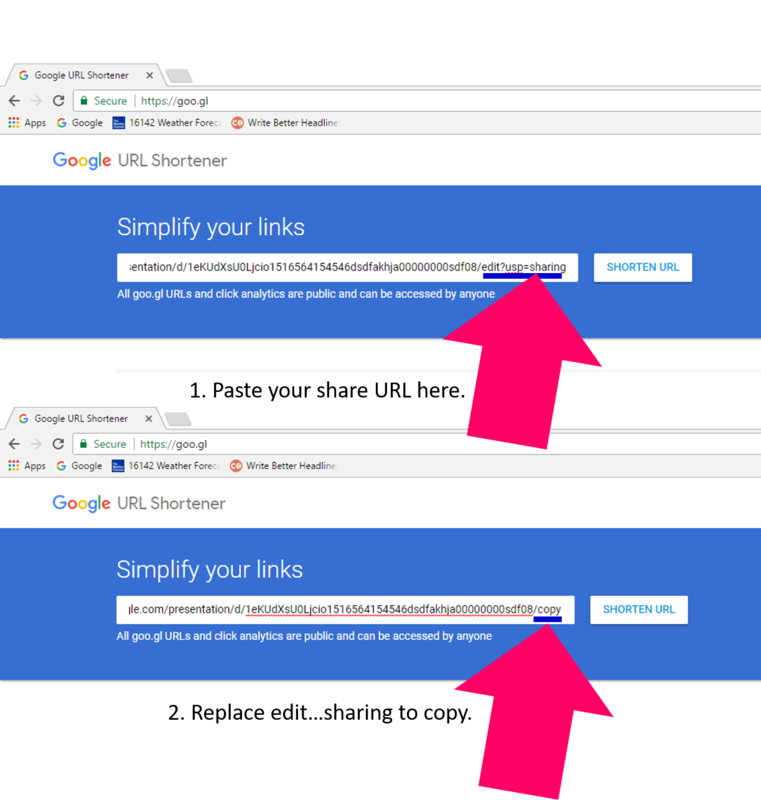 Paste your link. Change the text after the last / to copy. This change will force a copy of the document so that your students won’t accidentally change your original document. 5) Repeat this process with each document. 6) Now, write each url on a separate notecard or piece of paper and place them at the corresponding station throughout your room. Students will go to each station and find the url linked to the unique task. *If your students are using a device with a QR code reader (like a tablet, iPad, or SmartPhone), you can covert those urls to QR codes and provide them with a print QR code like I did below. At each station, you will be given a link that will take to you to the digital task for that station. Enter the link into your browser to open the link. Right click on the slide and then click copy. Come back to this document and paste that slide into the document by right-clicking under this slide on the left-hand scroll column and pressing paste. Complete the digital task in this new document. Repeat this step with each digital task so that all of your tasks are in this document at the end. 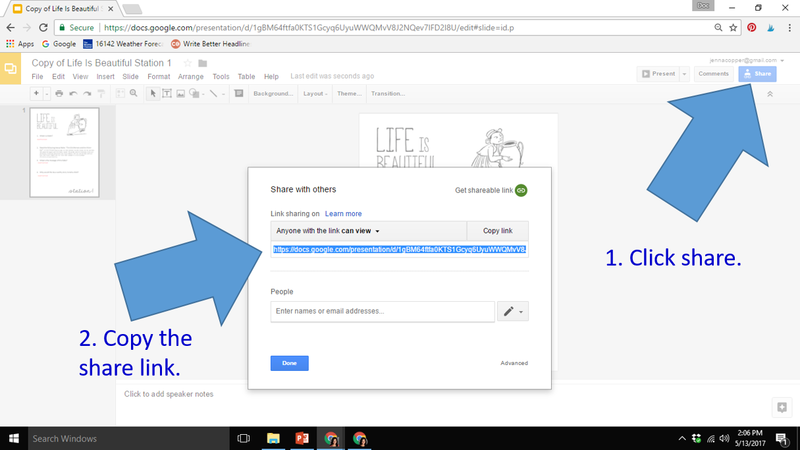 8) Assign the new document via Google Classroom. Make sure you select the “make a copy” for each student option. Once, they’re done, grade as you normally would using Google Classroom. 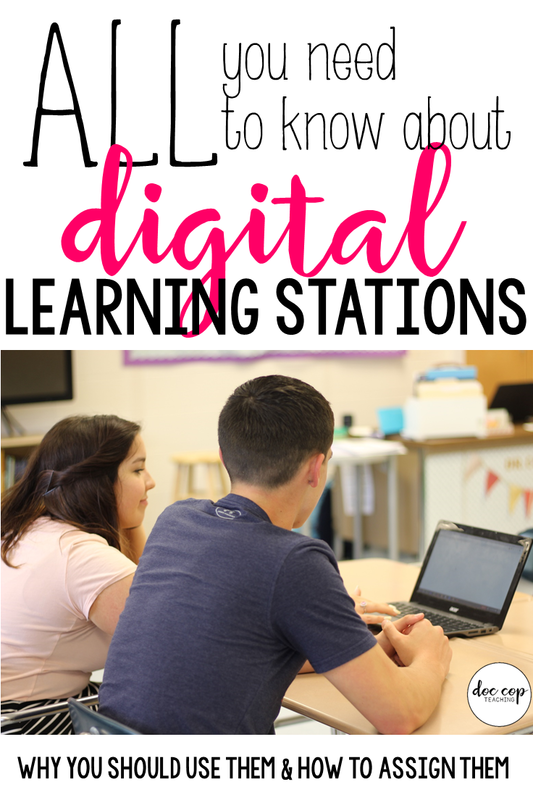 You can check out some of my favorite digital learning stations below! Join my monthly newsletter to get access to my FREE resource library.